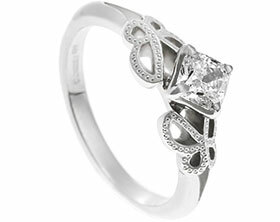 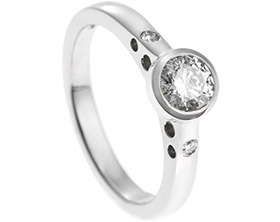 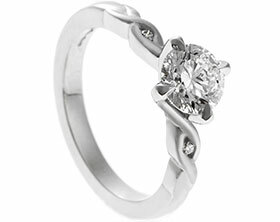 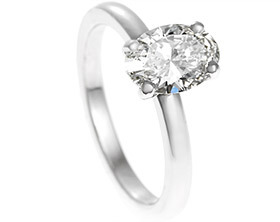 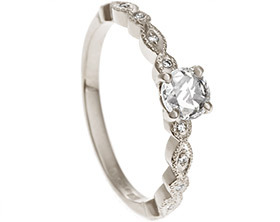 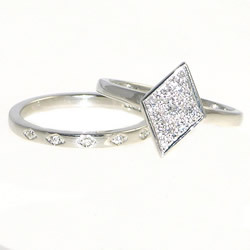 This design of this beautiful engagement ring and wedding ring set in 9ct white gold was inspired by Victorian and Edwardian jewellery.The traditional method of pave setting diamonds onto a shaped plate has been brought up to date with this elegant and delicate engagement ring.The slim band is 2mm wide and the diamond shaped setting area is about 12.5x8mm in size.The set plate is undercut such that the matching wedding band (and future eternity ring!) 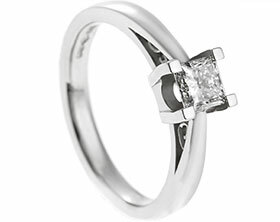 slip underneath and right up next to the band for a really tidy look.The engagement ring has been set with H SI brilliant cut white diamonds - a 2mm centrally with 4 1.5mm and 6 1-1.mm diamonds.The way they have been grain set gives the impression of one large diamond shaped sparkly stone.The wedding band is also 2mm wide and has been set with 5 1mm brilliant cut round H SI white diamonds which have been set into little grained diamond shapes to echo the shape of the engagement ring.The diamonds total 0.14cts in weight. 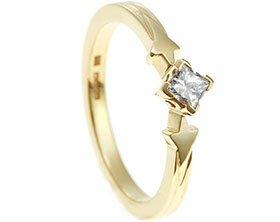 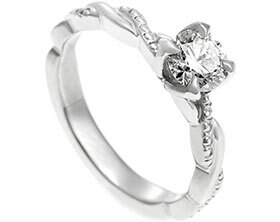 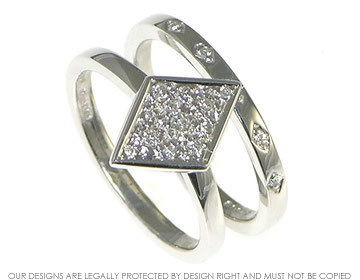 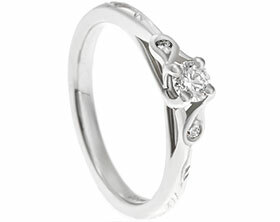 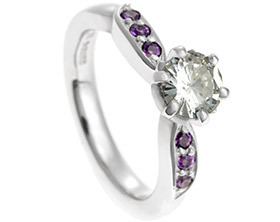 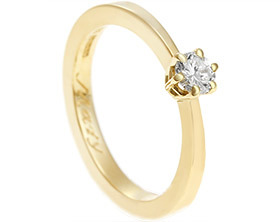 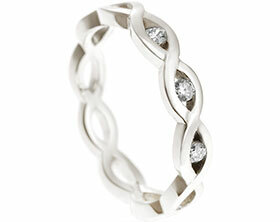 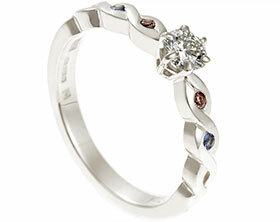 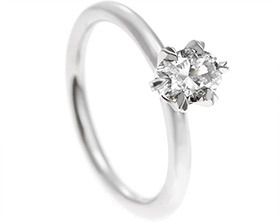 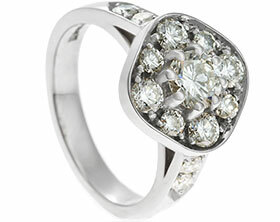 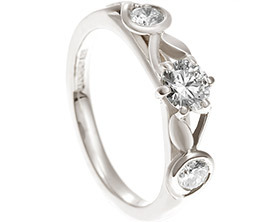 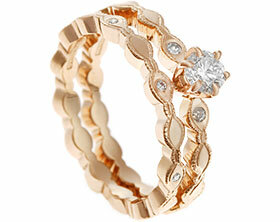 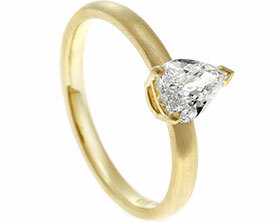 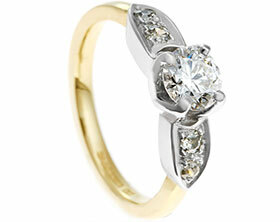 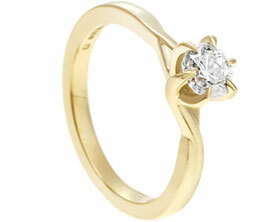 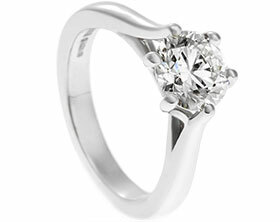 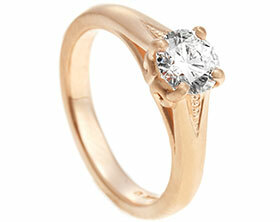 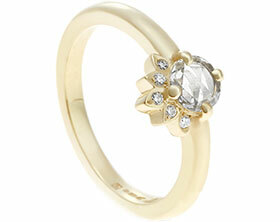 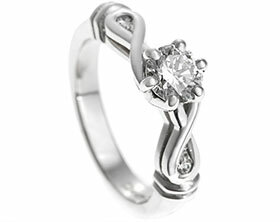 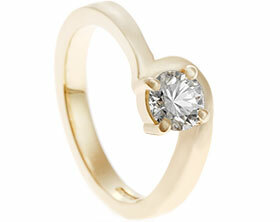 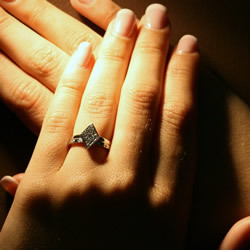 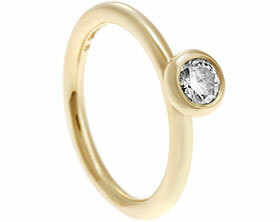 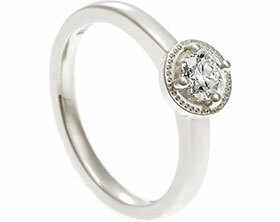 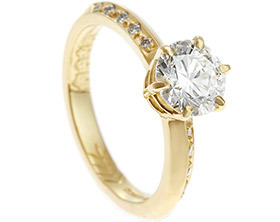 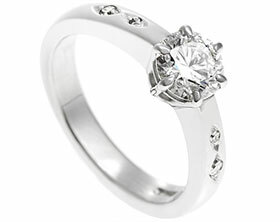 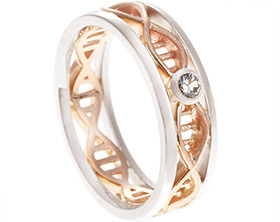 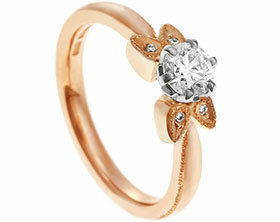 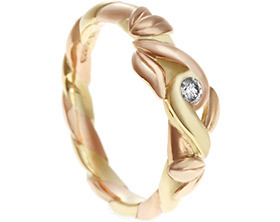 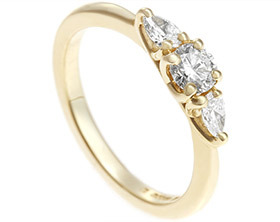 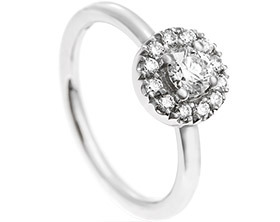 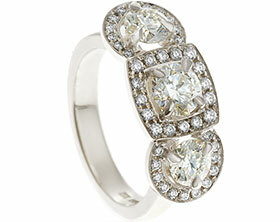 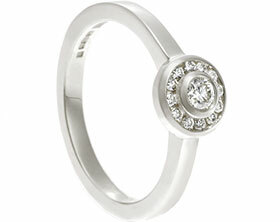 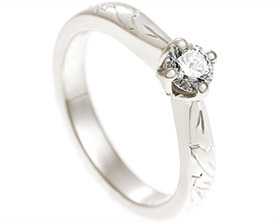 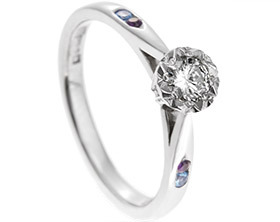 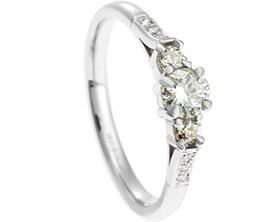 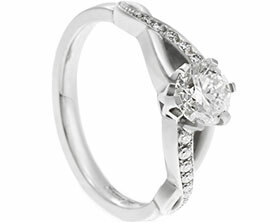 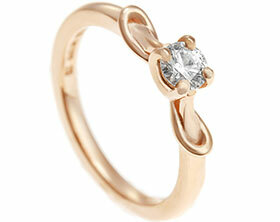 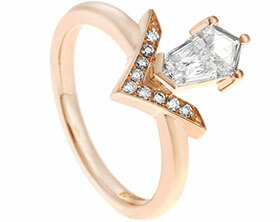 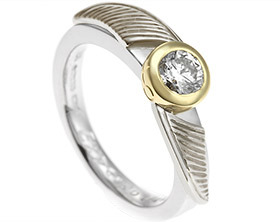 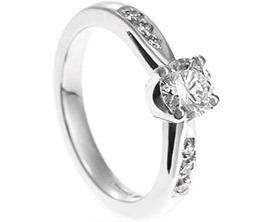 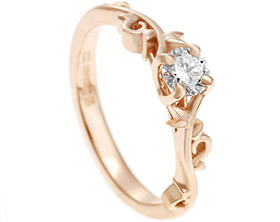 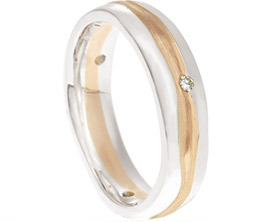 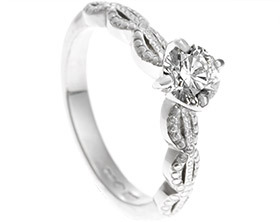 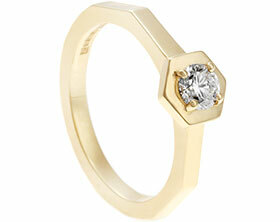 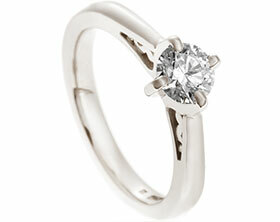 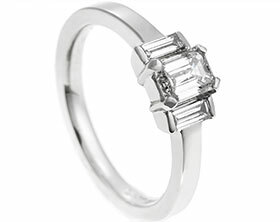 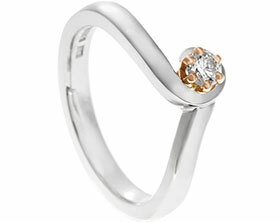 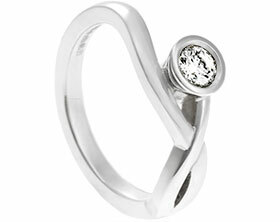 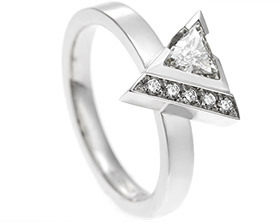 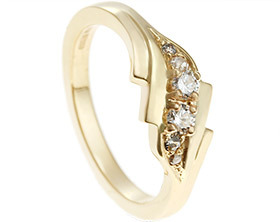 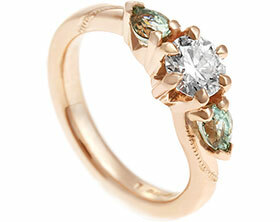 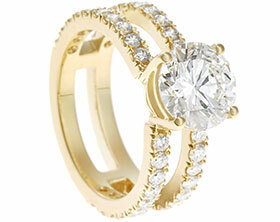 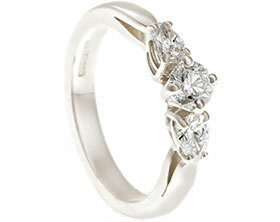 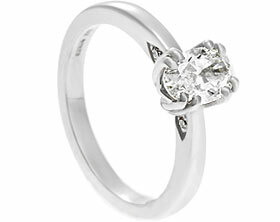 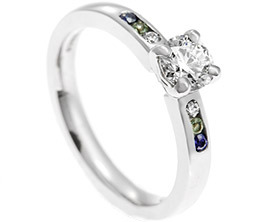 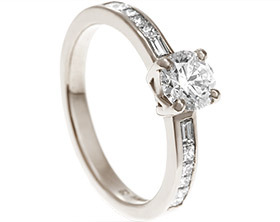 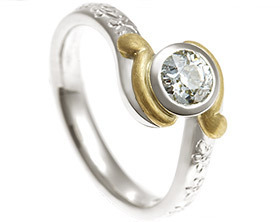 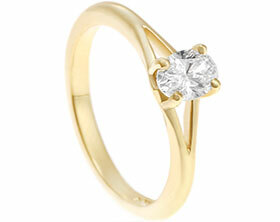 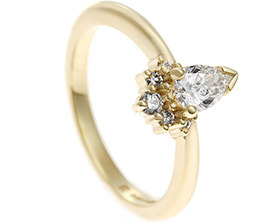 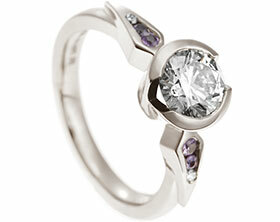 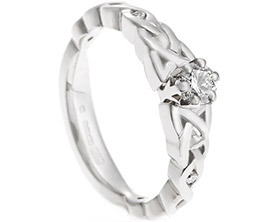 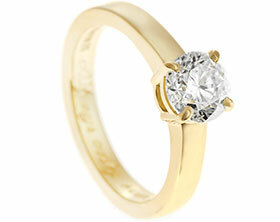 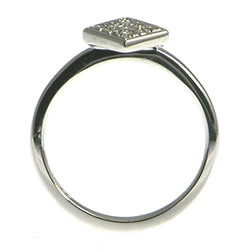 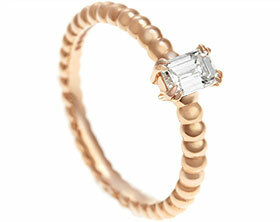 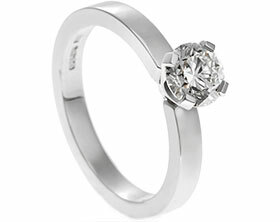 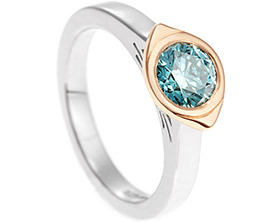 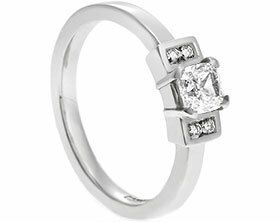 The rings are sold as a set with the wedding ring costing £529+VAT and engagement ring costing £1543+VAT.